2011 / Nicolas Winding Refn > The worst thing about Drive is the hideous, misuse of Mistral during the credits. You sit there, as Ryan Gosling drives into the night, wondering if you’ve been transported to a grittier version of Miami Vice. Maybe genre films remain an insular interest because the kitsch factor is too embedded in their culture? After all, this is the font that graced the intro of television’s Night Court. But then the film unfolds. And sets up. And takes off. And during this ride, which can effectively be described as a classic noir tale with a penchant for real violence, there is nary a hole that can be poked. Every second is necessary, every shot elegant, every piece of music supports the action on the screen. Every question normally asked of a film, this one answers either with some level of extrapolation or faith in its characters. Gosling, credited simply as “Driver,” is reminiscent of Clint Eastwood’s The Man with No Name. We gradually discover over time that he’s exactly the kind of person missing in 99% of Hollywood cinema: One that doesn’t cop out. That, in itself, is a tremendous victory. As those who’ve watched his Pusher trilogy as well Tom Hardy’s brilliant, psychotic coming-out party in Bronson can testify, Winding Refn is a momentous talent. In fact, the lyrics of Kavinsky and Lovefoxxx’s “Nightcall,” which overtures the opening sequence, speaks of both the director as well as Gosling’s Driver: There’s something about you, it’s hard to explain. They’re talking about you, boy, like you’re still the same. In short: They are not to be underestimated. Drive shows the maturation of Winding Refn as a controlled director, Gosling as an action star and together they’ve come up with a fine piece of entertainment that’s a beauty to look at, satisfying to watch and evocative enough to remember. Rushmore by Wes Anderson is the yearly favorite from 1998 as listed in Life as Fiction (Through Time): An Exercise in the Clockwork and Constriction of Cinematic History, a project to chronicle my favorite film from each year since 1921. 1998 / Wes Anderson > Not sure how much my familiarity with the soundtrack had to do with it, but my latest viewing of Rushmore was a completely different experience than I’d previously recalled. Seeing it in theatres upon release, when Anderson’s tactics were still fresh, the first half was all the rage while the second half seemed banal at best. But over time, that first half became a sort of gimmick, something to create an illusion of substance when in reality it embodies much of the indie quirkiness that continues to plague current cinema. But now, multiple Anderson films later, I’ve finally realized what makes the film tick isn’t its first half, but rather the second half, which maintains a sense of quiet rumination filled with the appreciation of living and acceptance. In ways, this is as unusual a coming of age film as there ever may be. While Jason Schwartzman’s Max Fischer isn’t immediately someone to identify with, his emotional see-saw with Miss Cross (played by the elegant and lovely Olivia Williams) provides an intangible yet definite hook for us to latch onto. He seems the antithesis of what we see in Dangerous Minds, yet in many ways, he’s exactly similar. Nobody said you had to deal with guns and drugs to be a delinquent—You can also do it with “extracurricular activities” like building aquariums on the baseball diamond or tending bees instead of taking exams. Also impressively, no Anderson film has used music as effectively as Rushmore: The Who backing the revenge sequence, John Lennon supporting Bill Murray’s hopeful Herman Blume and Max’s road back to grace and Miss Cross taking Max’s glasses off to Ooh La La by Faces (where the minor quiver on Williams’ lip is one of the finest moments in my personal cinematic history). All of these are further impacted by the calculated camera work of Richard Yeoman. So beautiful, in fact, that the curtain scene at the end has forever become etched in my memory. Originally posted on October 25, 2008 before inclusion into (Through Time). Out of the Past by Jacques Tourneur is the yearly favorite from 1947 as listed in Life as Fiction (Through Time): An Exercise in the Clockwork and Constriction of Cinematic History, a project to chronicle my favorite film for each year from 1921 to the present. 1947 / Jacques Tourneur > It’s pretty obvious why David Cronenberg paid homage to Out of the Past in A History of Violence: If you’re going to put a twist on a genre, why not pay respect to its standard-bearers? Tourneur’s take on classic film-noir is thoughtful and riveting. The directing is meticulous, setting up a moody atmosphere, taking time to play out scenes that would otherwise have been rushed and making sure each of our characters are aptly developed. I can also now finally understand why Robert Mitchum was such a big deal. His quiet poise calls upon him an honest appearance while underneath he has the ability to carry deeper, darker secrets. And in a film where Jane Greer counters him as a dame of great beauty and equally great villainy, both work together balancing each others’ brilliant performances. But fundamentals aside, Out of the Past is more notable for its congruence of issues: Lies, murder, secret pasts, infidelity, love, hope, greed, happiness. Novelist and screenwriter Daniel Mainwaring threw the kitchen sink plus some toiletry in the story’s mix of ingredients. But what amazes is how well it all works out. The final scene with the boy stands the test of time as one of those moments that leave you wondering the improbable quality of the film you’ve just witnessed. These days, the descendants of noir have simply too much cynicism or lack of storytelling skills to be this effective. Originally posted on February 11, 2009 before inclusion into (Through Time). 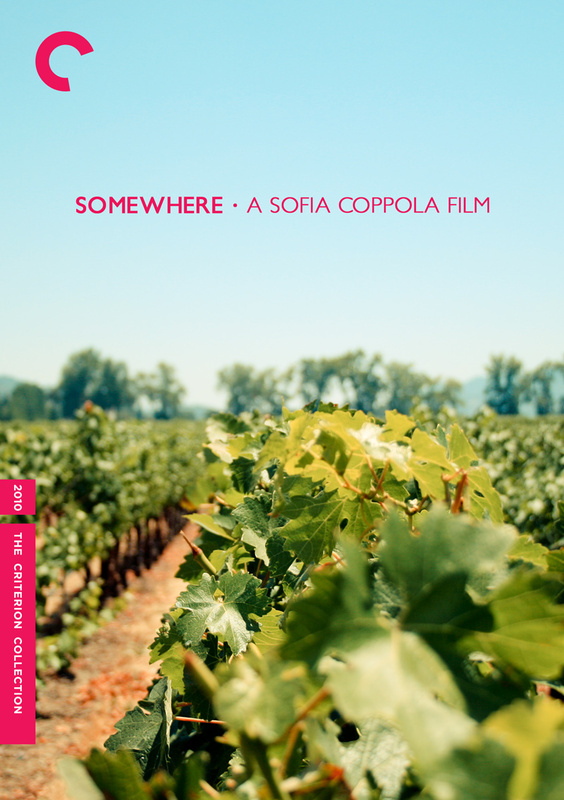 #2: Somewhere by Sofia Coppola. 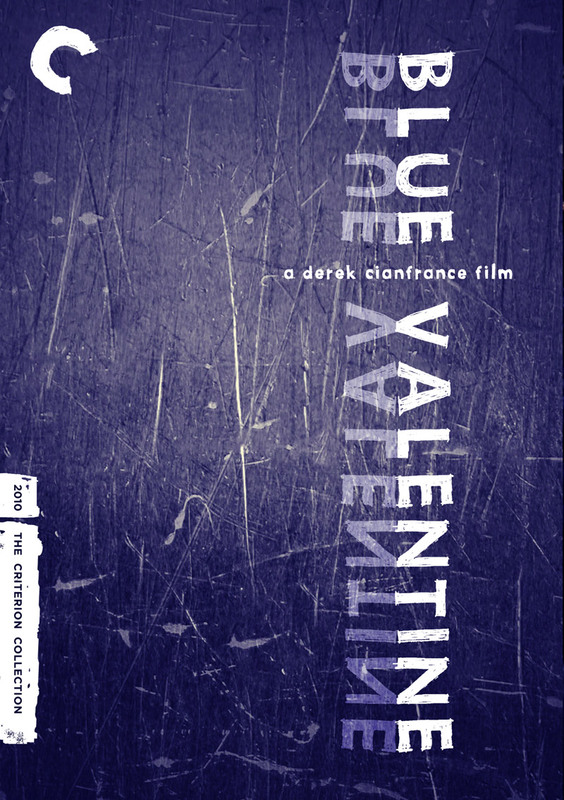 In the ten days leading up to the 83rd Annual Academy Awards, I listed my ten favorite films of 2010, each accompanied by a custom Criterion Collection cover inspired by Sam Smith’s Top 10 of 2010 Poster Project. 2010 / Sofia Coppola > For the third straight film, Coppola dives into the emotional troubles of the rich and famous. While the general perception may be that money has the ability to buy one happiness, the truth is that wealth is a relative meter of comfort and works only as a superficial divider amongst the populace. One of the great examinations of this came from Nick Smith in Metropolitan: “It’s a tiny bit arrogant of people to go around worrying about those less fortunate.” The theory works completely in reverse as well. Mistakes can be made by anyone, regardless of job, money or location. It’s how we deal with those mistakes and what we learn from them that actually defines us. In Somewhere, we follow Johnny Marco (played without pretension by Stephen Dorff), a Hollywood star lacking energy for life. We take in his aimless minutiae until his daughter Cleo pays him a visit. In Cleo, Elle Fanning is able to bring forth the grace of life that wakes up sleeping giants. In what may be my favorite supporting female performance of the year, her simple smiles keep our attention, and we understand, almost instantly, the value of truly loving someone away from all the glitz and glamour the world so continuously taunts us with. Sure, she’s still able to order expensive room service in an Italian hotel because of her father’s fame, but it’s more important to think of the loving kinship here than let our mechanical jealousies take precedence. 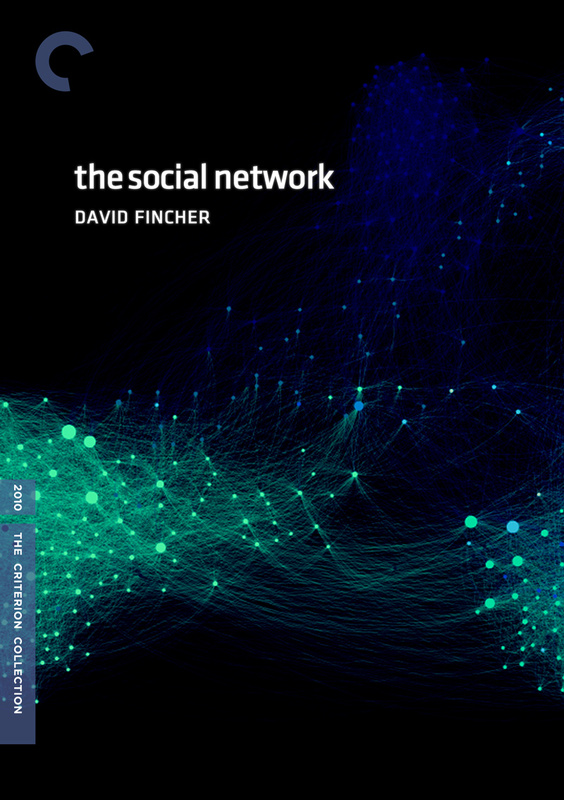 Of all films from 2010, Somewhere might be the one that I find with the most rewatchable. Every scene mesmerizes in its naturalness—including a wondrous episode of Guitar Hero that many of us can identify with. In contrast to Nicole Holofcener’s Please Give, Coppola doesn’t really force any resolutions. Johnny’s emotional curve remains relatively flat throughout because, let’s face it, some of us never learn our lessons. And while that’s a tragic truth to admit, it’s a link that sticks.